Autographed by the Author and include a matching book marker when purchased on this website. 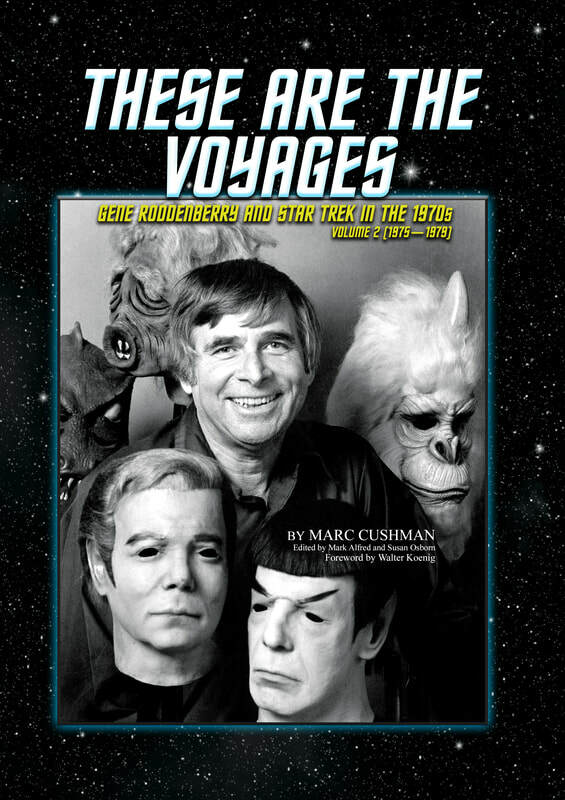 These Are The Voyages [Gene Roddenberry and Star Trek in the 1970s, Vol. 1] is a follow-up to Marc Cushman's groundbreaking account of the making of the original Star Trek series, and is a perfect appendix to those indispensable volumes, in which he now chronicles Gene Roddenberry's bumpy post-Star Trek career along with behind-the-scenes nuggets about the underrated Star Trek: The Animated Series. 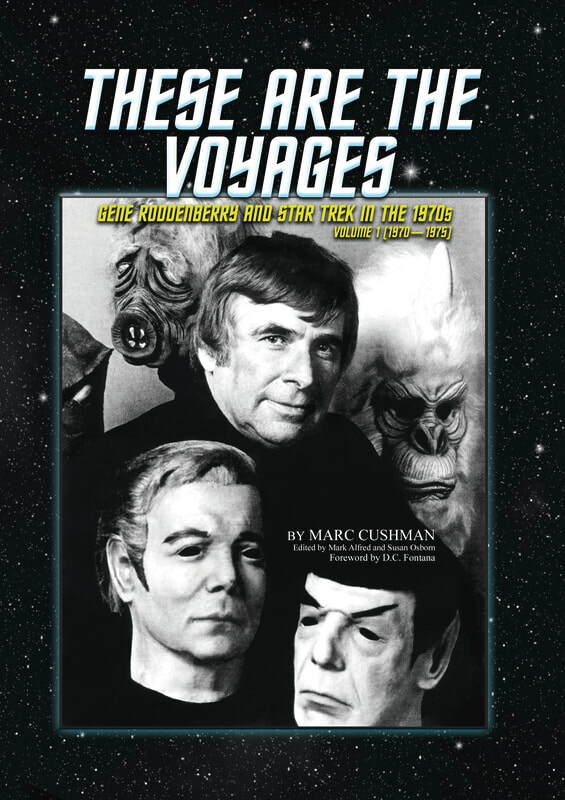 If you're a fan of his first three books, you definitely want to make sure you include the latest volume in your collection of essential Star Trek reading. - Mark A. Altman, co-host Inglorious Treksperts, writer/director Free Enterprise. 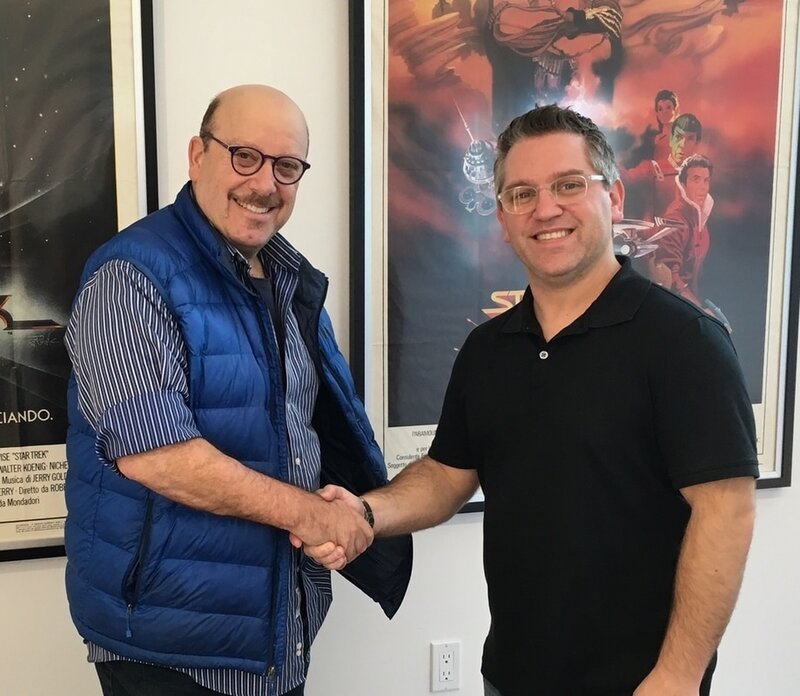 Jacobs/Brown Director of Operation's Steven Kates and Roddenberry.com's Trevor Roth finalize arrangement allowing author Marc Cushman to utilize materials from the Gene Roddenberry private papers archive for the book, These Are the Voyages: Gene Roddenberry and Star Trek in the 1970s. This book is a work of journalism, protected under the First Amendment, and is not endorsed, sponsored, or affiliated with CBS Studios, Inc., Paramount Pictures, Roddenberry entertainment, Inc., or the Star Trek ® franchise. The Star Trek ® trademarks, logos, and related names are owned by CBS Studios, Inc., Paramount Pictures, and Roddenberry entertainment, Inc., and are used under “fair use” guidelines for journalistic purposes.